This is one great Chrysler 200. $ $ $ $ $ I knew that would get your attention!!! 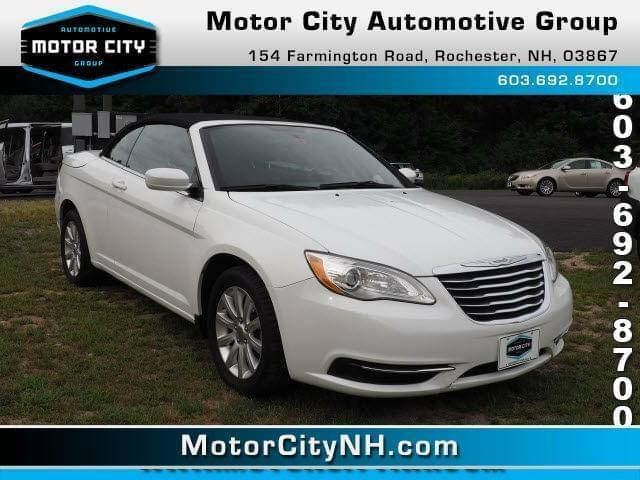 Now that I have it, let me tell you a little bit about this outstanding 2011 Chrysler 200 Touring that is currently specially-priced* One of the best things about this Vehicle is something you can't see, but you'll be thankful for it every time you pull up to the pump*** Runs mint!!! Less than 58k Miles*** Just Arrived*** Safety equipment includes: ABS, Traction control, Passenger Airbag...Other features include: Power locks, Power windows, Auto, Convertible roof - Power, Climate control.... Motor City Automotive Group offers "Rapid Credit Approval" where EVERY customer is approved on ANY car in 14 minutes or less...Guaranteed!! Don't hesitate, this deal won't last forever.